Earlier this year, Samsung listed its smartphone versions of Galaxy J5 and Galaxy J7 on their Chinese website. However, the price and availability of the two handsets was not revealed. Most recently, the official Samsung Korea website announced the prices of both smartphones. “According to Korean website Galaxy J5 is priced at KRW 290000 (INR 16889) while Galaxy J7 will cost KRW 362000 (INR 21138), excluding local taxes. Official announcement in India is yet to be made,” informs Vaikundarajan. Reviewing its features, Vaikundarajan notes that both the smartphones come with a new design that features a metal frame supported by an interesting hardware. 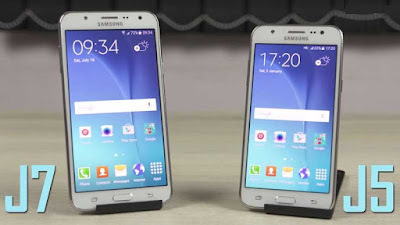 Galaxy J5 has a 5.2 inch HD display while Galaxy J7 has a 5.5 inch Super AMOLED display with Full HD resolution. Both handsets run on Android 6.0 Marshmallow OS and come with a 4G support. The handsets will have a 13-megapixel front camera with f1.9 aperture. Running on 2GB RAM, the handsets are supported by 16GB storage memory with an option to expand up to 128 GB using microSD card. “The South Korean model is slightly different as compared to the Chinese model which comes with a 3GB RAM. The company has not specified which model will be release for the Indian market,” informs Vaikundarajan.